Bill protests: Who is liar—minister Himanta or DGP Saikia? 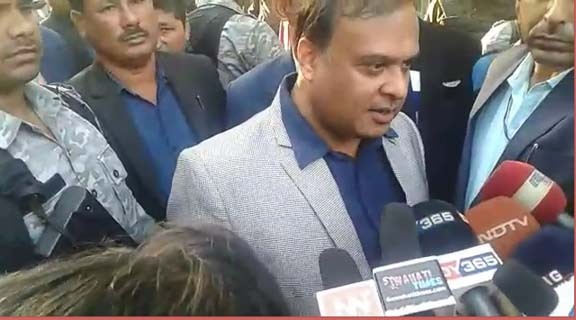 Two back to back contradictory statements made by Assam finance minister Himanta Biswa Sarma and DGP Kuladhar Saikia regarding the ULFA (I)’s hands in the protests against Citizenship (Amendment) Bill have raised a serious question, actually who is the liar—minister Sarma or DGP Saikia. While minister Sarma on Friday had claimed that the movement against Citizenship Bill in the state is controlled by ULFA (I), DGP Saikia on Saturday said that as of now police do not have specific inputs in this regard. Minister Sarma on Friday had said the protests against the Citizenship (Amendment) Bill in Assam are orchestrated byULFA (I). Interestingly, minister Sarma, who has allegedly been trying to incite communal tension by making hate remarks for the last few days, neither holds home department nor is a government spokesperson. Now the question is if the DGP, who is the head of the law enforcement agency of Assam, does not know about the involvement of the banned outfit in the protest, how did minister Sarma know about it? Assam is witnessing raging protests against the Citizenship (Amendment) Bill after the bill was passed in the Lok Sabha on January 8.